ONE OK ROCK Announces North American Headlining Tour | VKH Press – J-Rock & Visual Kei Coverage Worldwide! ONE OK ROCK fans just keep getting more good news! 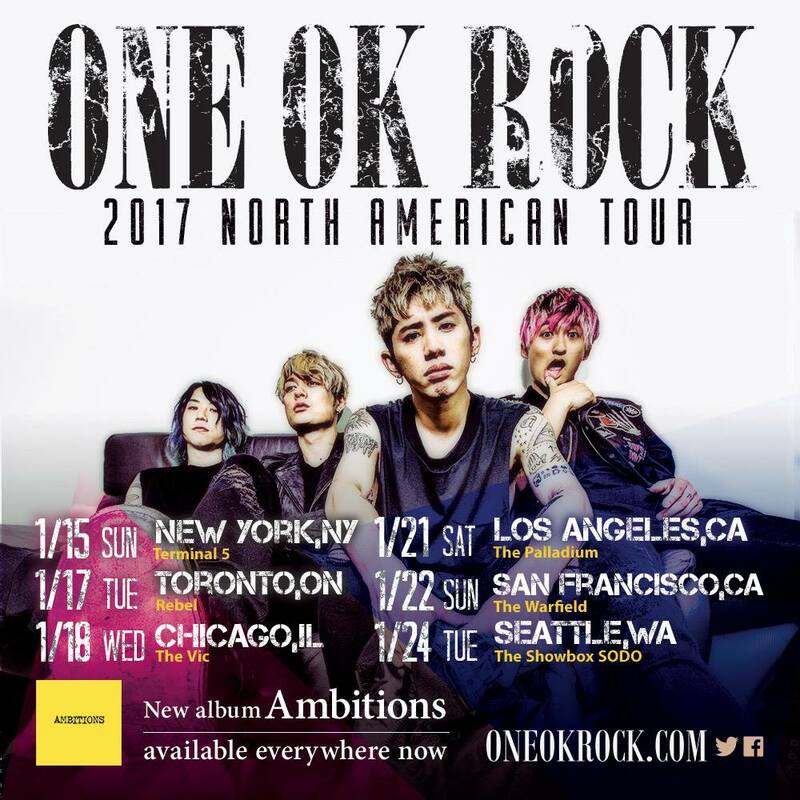 The band has just announced a 2017 North America tour to promote their upcoming album Ambitions. Below is a list of the tour stops, along with a link to the ticket website for each concert. Pre-sales start on November 21st (this Monday), so make sure you mark your calendar!